First, I must apologize for a long lapse in activity on this blog. I have been busier than usual the past few months, but fortunately, it was all good things. 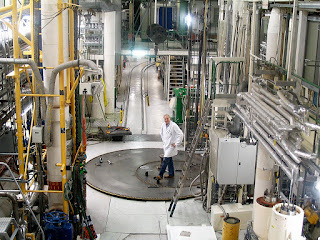 I continue to be busy this summer, but what has motivated me to put pen to paper again (OK, fingertips to keyboard) is that I was saddened to hear that the Halden Reactor is about to close. For those who are not familiar with this project, the Halden Reactor Project, located in Halden, Norway, was a pioneer in the nuclear field in several ways. As I detailed in my book on Nuclear Firsts, an agreement for cooperation among several European nations was signed on June 11, 1958--just over 60 years ago. The reactor was already under construction on that date and started up just over a year later, on June 29, 1959, making it the first multinational project to begin operation. It also became the first boiling water reactor in the world to operate using heavy water instead of light water. A further milestone that the Halden Project achieved was becoming the first truly international peacetime nuclear research project in 1961, when it was joined by countries outside of Europe. The Halden Project is jointly financed by about 20 participating countries under the auspices of the OECD Nuclear Energy Agency. 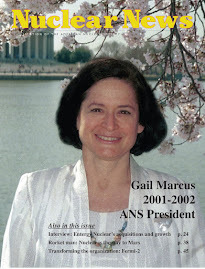 (Full disclosure--I worked for NEA from 2004-7.) Over the years, Halden has hosted research in numerous areas important to the safe operation of nuclear power facilities around the world, and has improved knowledge and understanding in a number of key areas for nuclear power plant operation, including fuels, materials, man-machine interfaces, and other areas. The announcement of the impending closure of the plant has only become public in the last day or two, and all the details are not yet clear. In fact, as of this writing, there is not even an announcement yet on the Halden Reactor Project site or on the OECD NEA website. What is clear from the WNA news item highlighted above, and from other news reports I have seen, is that the board of directors of Norway's Institute for Energy Technology (IFE) has made a decision that it is not financially viable to continue operating the nuclear reactor. The reactor is currently shut down due to a faulty valve, and the license is due to expire in 2020, so the expense of restoring it and going through the relicensing process was deemed to involve an unacceptable level of financial risk for IFE. The board has expressed a commitment in continuing a research program in some areas. The Halden laboratory does have other facilities, and the board stated that they planned to revise their research program. Some of the organizations that have been conducting research at Halden have indicated that they are already beginning to look to research facilities elsewhere around the world to continue their research. For many reasons, I am sorry to see this reactor shut down for good. It has been such an important facility for so many years and has made so many contributions. And the kinds of changes now needed--relocating research projects and revising the Halden research program--will take time and effort. But the important contributions that the Halden reactor made to the safe operation of nuclear power plants around the world will live on.